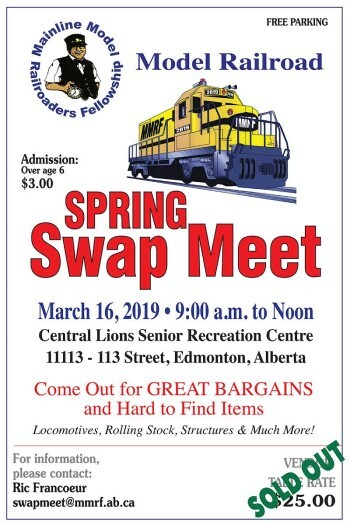 The MMRF Spring Swap Meet will be held on March 16, 2019 at the Central Lions Seniors Recreation Centre. Come out for great bargains and hard to find items. Locomotives, Rolling Stock, Structures & much more! Vendor Tables (6'): $25.00 Sold Out!